Microsoft has announced OneDrive On-Demand Sync which was previously known as OneDrive Placeholders. Microsoft demonstrated OneDrive On-Demand Sync feature at Ignite today. Microsoft showed that the files stored in OneDrive weighed in around 9GB, but the actual size on disk was only around 3MB. Microsoft first launched this feature with Windows 8 as OneDrive Placeholder. 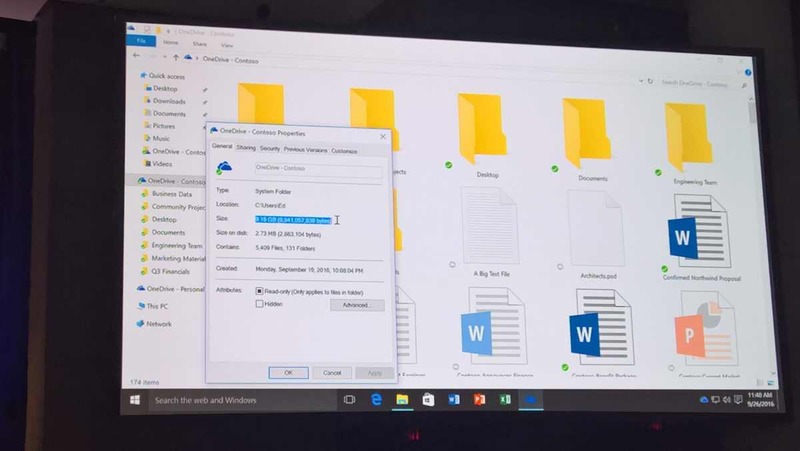 Later company removed the feature from OneDrive with Windows 10 launch. We can expect this OneDrive On-Demand Sync feature to be available with Redstone 2 update.